Juniper and designer David Irwin collaborated to make the M Lamp, a modern and sleek interpretation of miners' lamps of the 19th century. Here's a look at Irwin's inspiration for the product and the process that brought it to life. Even when innovations make old technology obsolete, the aesthetics and functions still resonate in the products of the future. 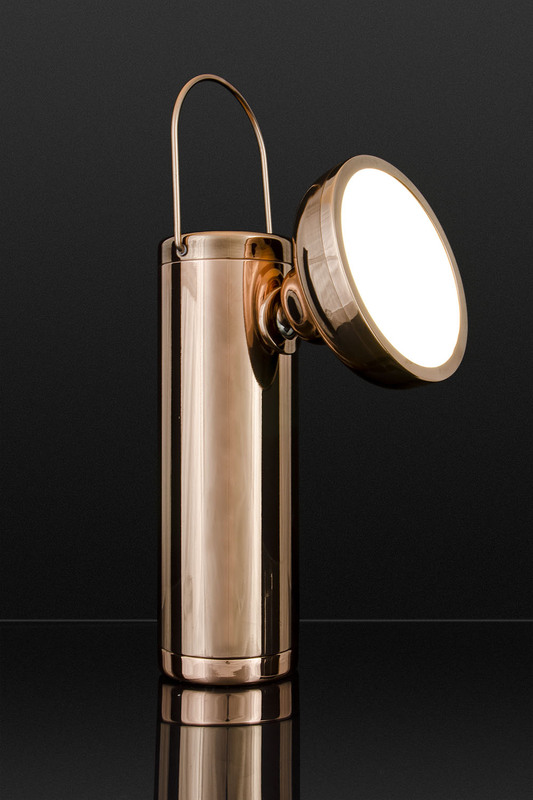 With this idea in mind, British industrial designer David Irwin collaborated with Brooklyn-based lighting studio, Juniper, to create a modern take on miners' lamps of the 19th century. Drawing inspiration from the portability and style of old gas lamps, the cordless M Lamp has a rechargeable battery and a moveable lamp head. 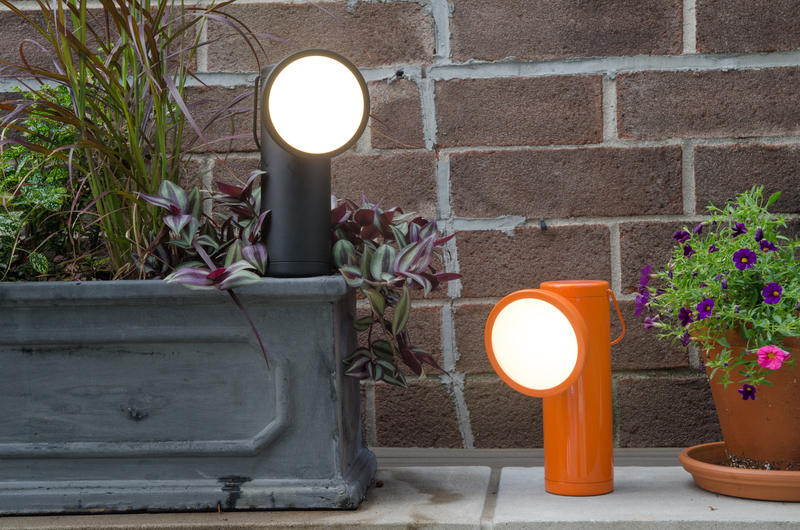 Made from high-grade aluminum, the lamp comes in five colors: vibrant orange, glossy white, matte black, polished copper and polished chrome. In this Designer Q&A, Irwin gives us the details on how the M Lamp came to fruition. 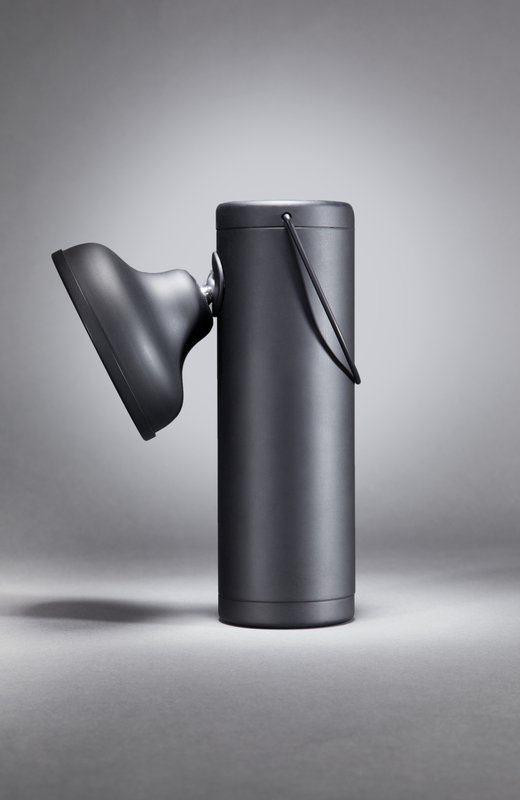 Walk us through the design process for the M Lamp. DI: I initially designed the lamp for Design Event Presents, a small exhibition here in Newcastle Upon Tyne. At this stage, it was very much in its infancy, a basic table lamp that wasn’t quite fulfilling the portable functionality that I had first envisaged. The premise was to create a task light which reappropriated the mining lamp both in its form and, crucially, its functional nature. I literally cobbled the first prototypes together using what little funding I had available to me at that point. Nevertheless, it was enough to win the best interior product award at the show. The following year, I met founder of Juniper, Shant Madjarian at the ICFF in New York. Soon after, I presented the M Lamp concept to him. Shant could see the potential in the product and its suitability for the brand he was beginning to build. From here we began a working relationship with the goal of bringing the M Lamp to market. The battery can recharge 2,000 times without any degradation. What inspired you to create this lamp? DI: I wanted to create a new, innovative product, but one which took reference from our industrial heritage, specifically the industrial heritage of where I currently live and work in the UK – Newcastle Upon Tyne. To create a contemporary piece with minimal form which still had emotional resonance and reference to the past, I drew a lot of inspiration from archetypal forms of lighting throughout history and in particular, lanterns and portable light sources. Light sources which didn't require a cable trailing to a power socket in a wall. Ones which could illuminate a dark corner of a room, aid us in a power outage, help with carrying logs in from outside or simply act as an ambient light source. Of course, the light output from these would have been inferior but this needn't be the case today with newer technologies available. One of the most important aspects of light is the atmosphere it creates. We use light to set certain moods within an environment, whether this is task-driven or for general ambience. This was always a key factor for me in the development of the M Lamp: marrying the functional aspects with the overall experience the product would create, especially as the product was to be used in multiple environments. I think we have achieved this marriage both with the specification of the internal components but also with the emotional connection to the light through its familiar form and visual comfort. Its LED lasts for 50,000 hours and consumes an average of 1.2W of power. Tell us about the history of carbide gas lamps. How did you draw from this history to create the M Lamp? - Davy lamps, first used in Hebburn Colliery, Newcastle Upon Tyne. - Geordie lamp, created by George Stephenson in 1816, Newcastle Upon Tyne. - Carbide lamps, invented by Thomas Wilson 1892, sold his patent to Union Carbide. The forms of these lamps have such a strong resonance with so many people across the globe and in particular, that of Newcastle Upon Tyne, which once had a huge coal mining industry with exports of around 400,000 tons a year in the 17th century. The idea of a contemporary play on the aesthetics and function of these historical icons to produce a small domestic lamp came about. 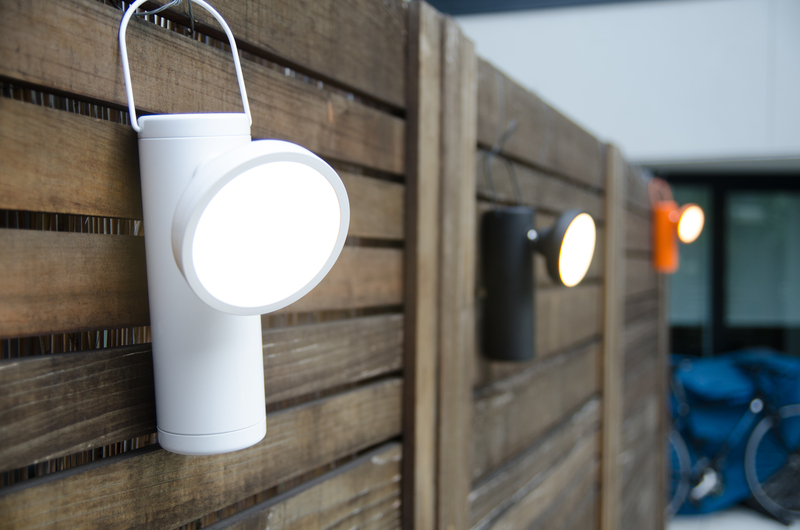 The lamp brings character to outdoor settings. What uses do you envision for the product? DI: Since the advent of electricity, most of our light sources have been fixed to certain points in the spaces we use. But as battery technology progresses along with that of LED light sources, we no longer need our lights to be tethered to a power socket. They can be free from the constraints of an accessible power source without compromising on the quality of light output. With this in mind, the uses for M Lamp are wide ranging, from illuminating a piece of artwork in a dark corner to lighting a table whilst dining outside. But one of the best things about the M Lamp for me is that you find uses for it once you own one; uses that you wouldn't envisage until the need arises. These are often little day-to-day things like taking a meter reading, painting the inside of a cupboard or helping to replace a light bulb at night in a room with no other lights. DI: We have become increasingly mobile in our pursuits with greater freedom to live and work in any place at any time. We have become nomads in this respect. This notion has permeated into our consciousness and we translate this into our daily habits from eating and sleeping to working and entertaining. We are using more and more portable devices as well as items that are easier to move around and more suited for use in various locations.